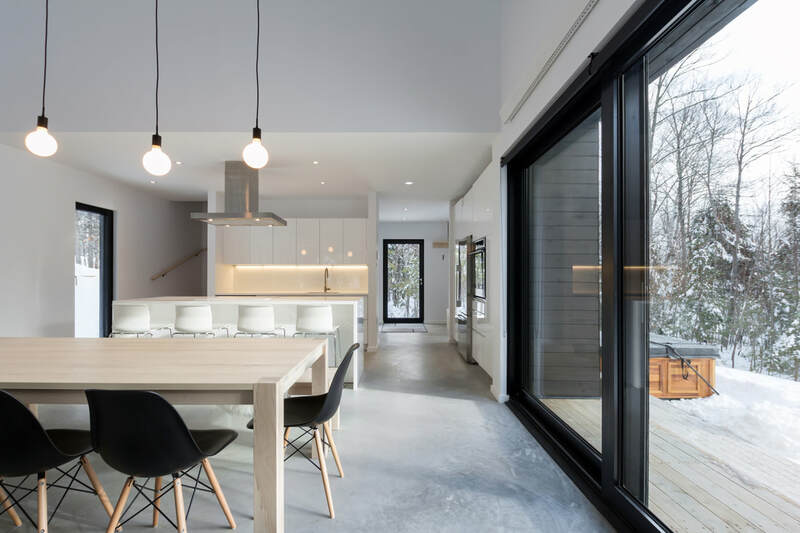 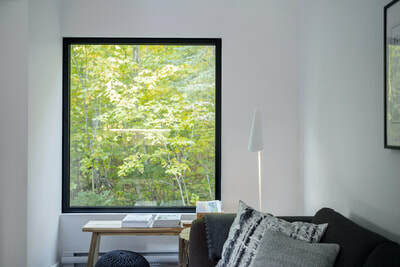 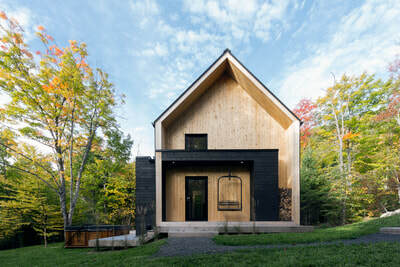 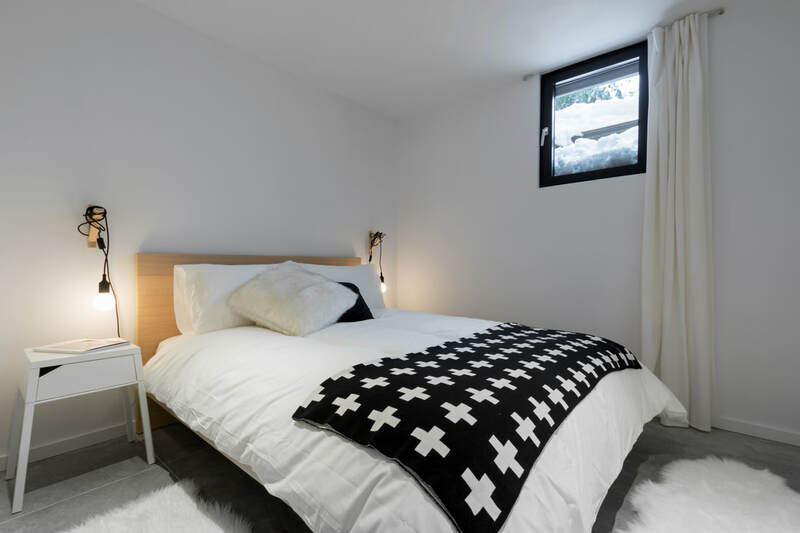 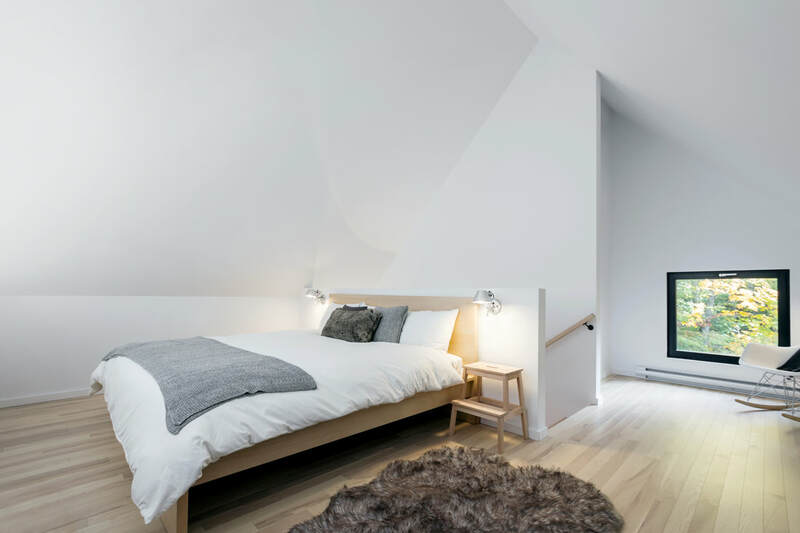 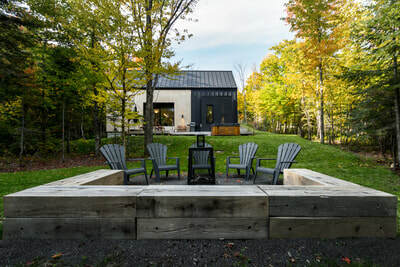 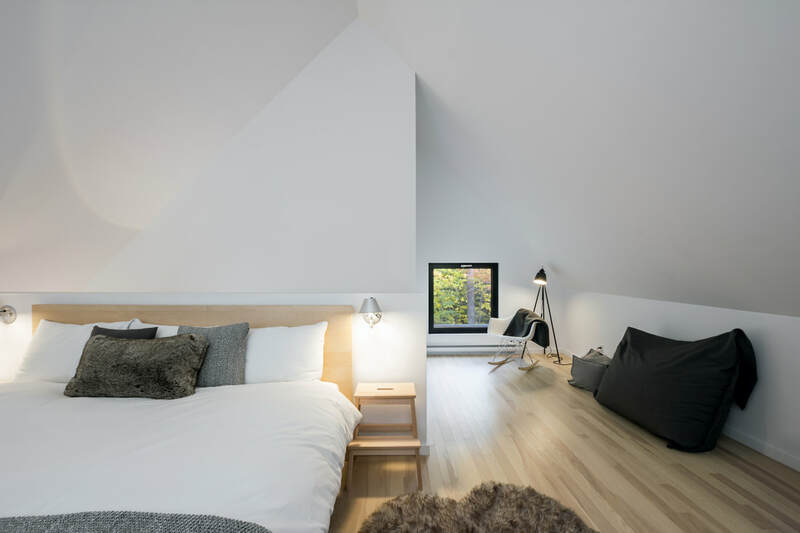 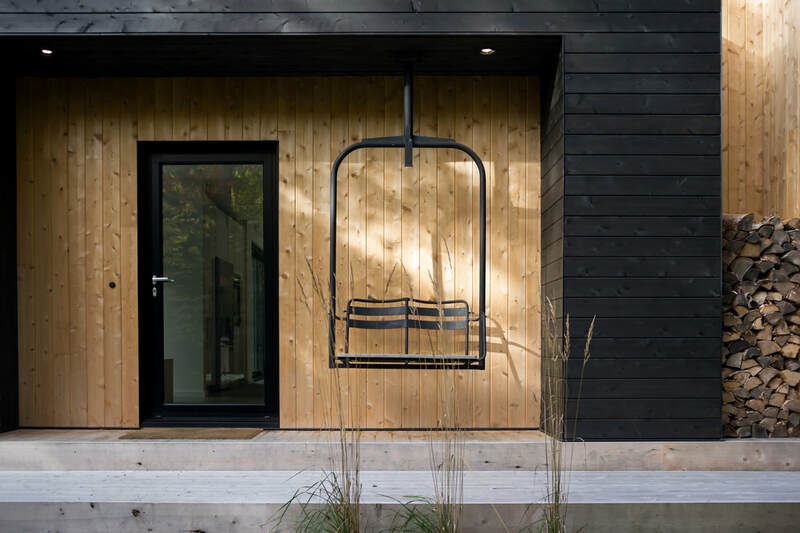 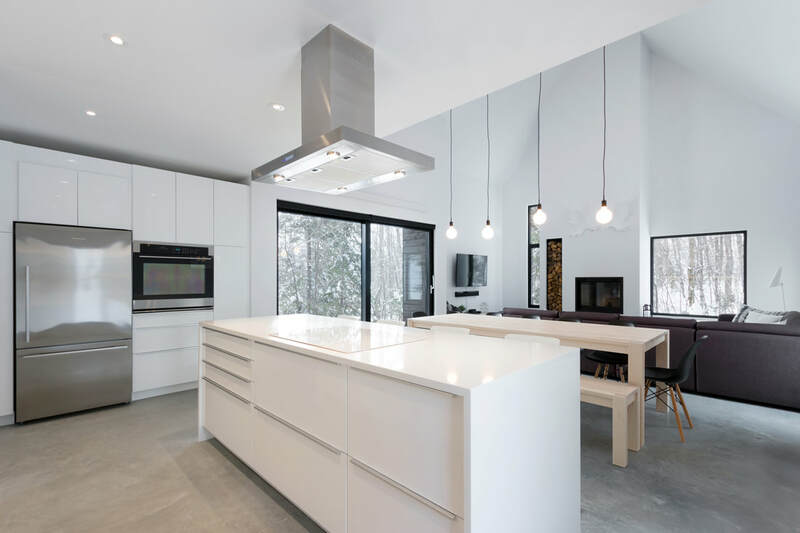 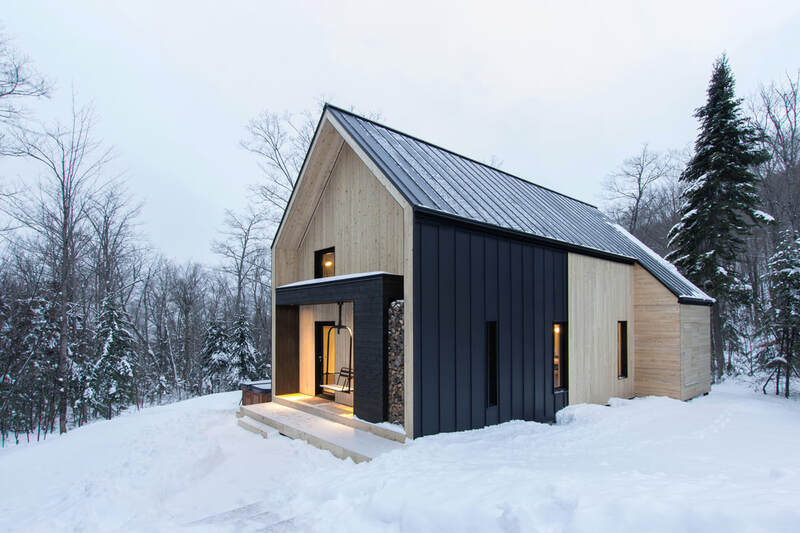 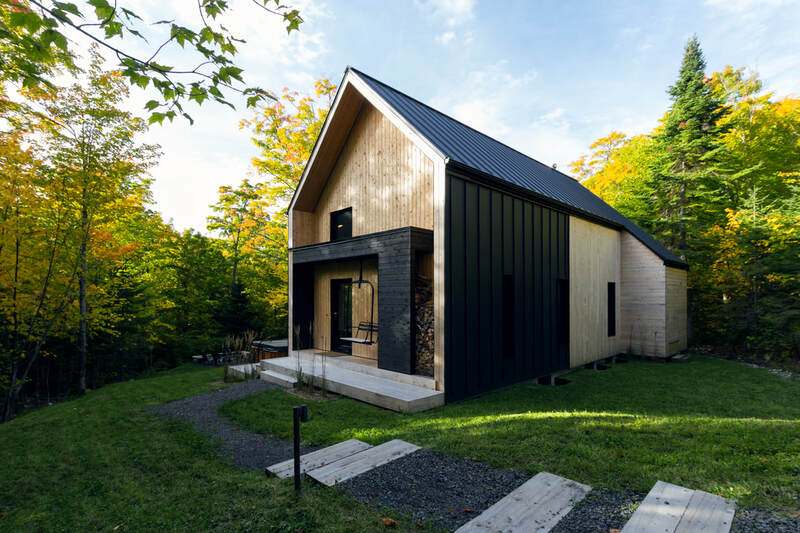 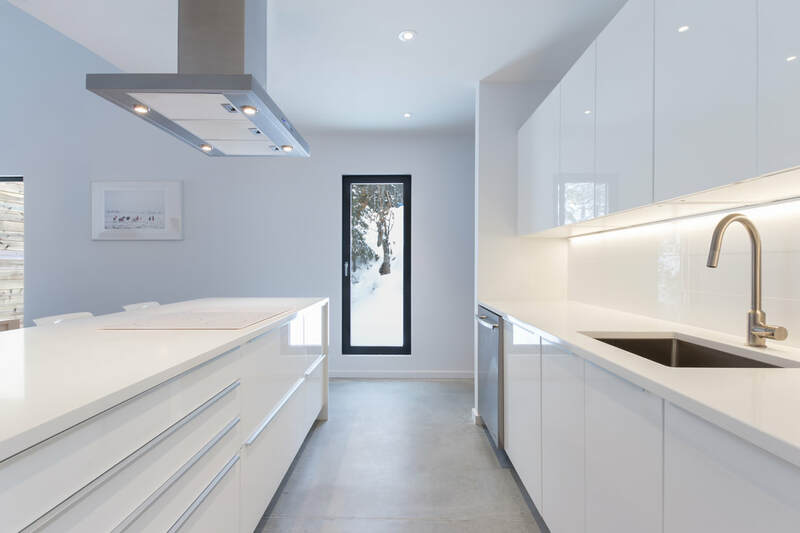 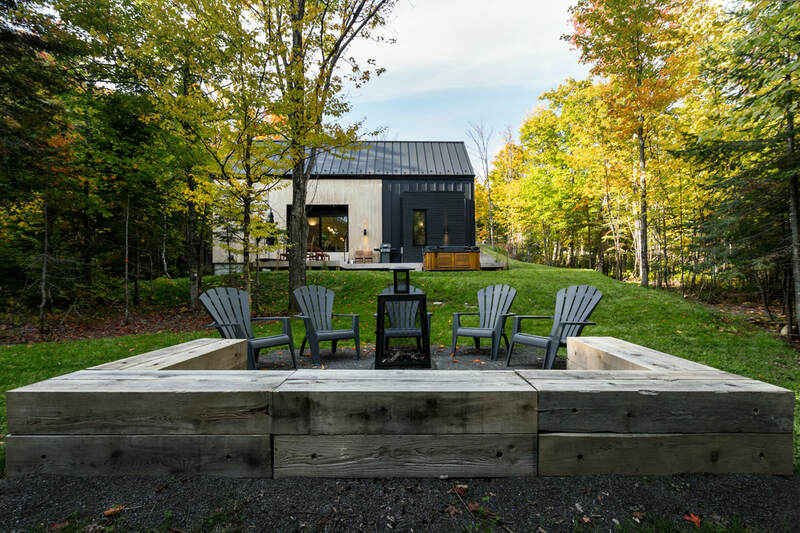 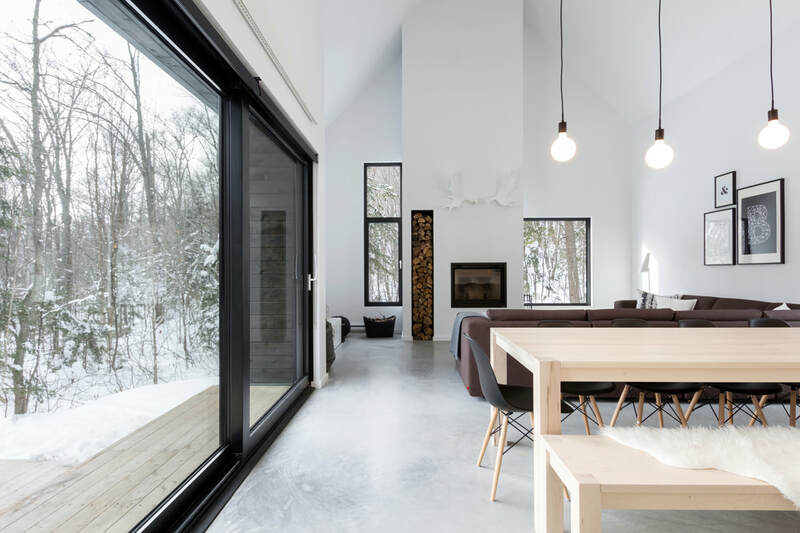 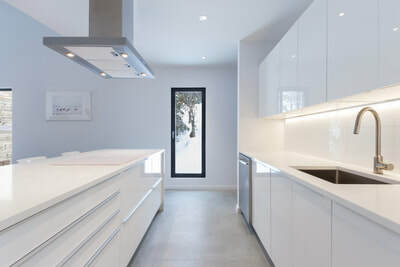 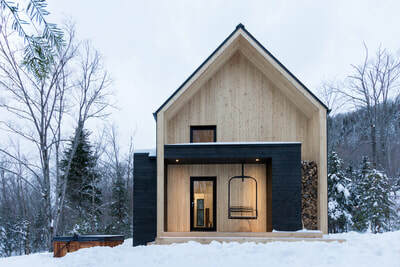 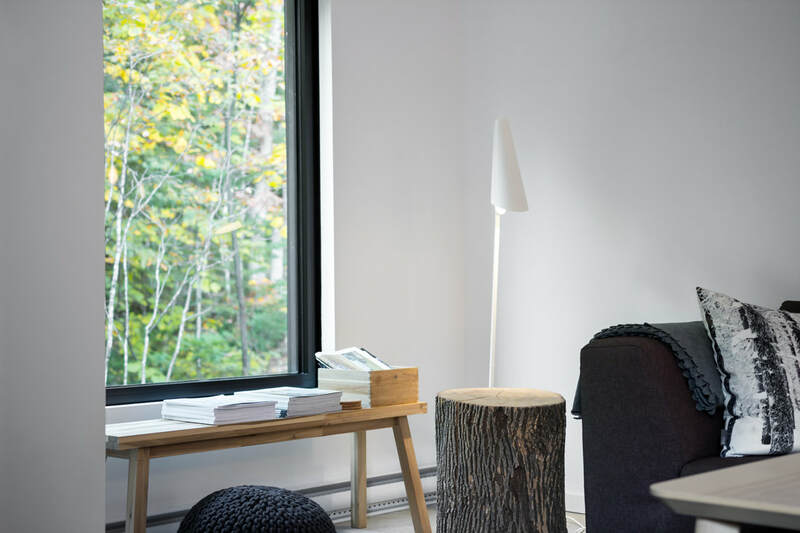 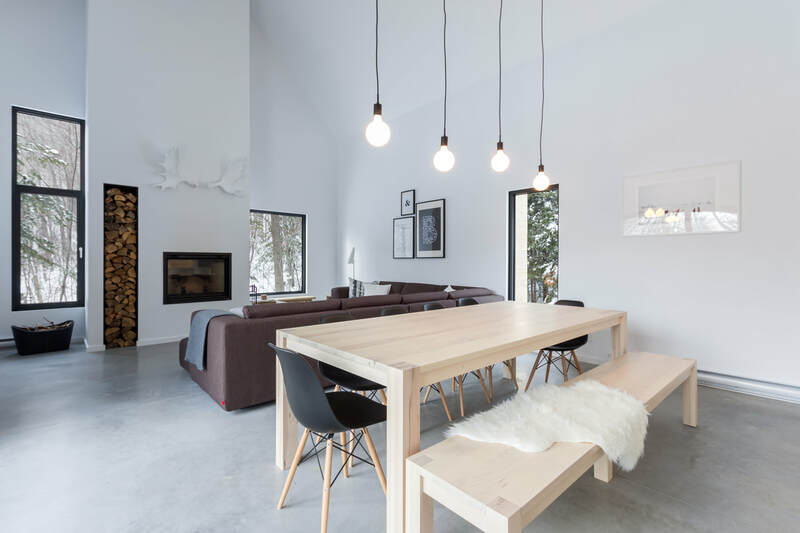 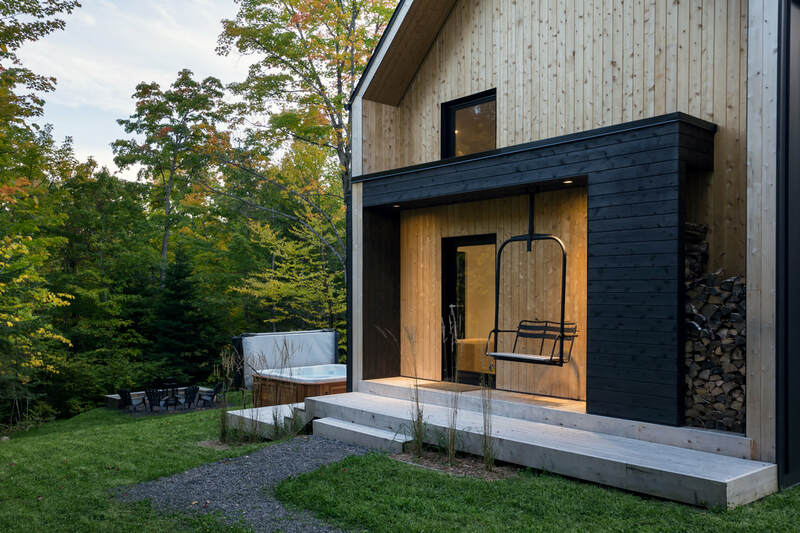 Located in Petite-Rivière-Saint-François, in Charlevoix, near Québec City, the Villa Boréale is a luxurious, scandinavian inspired, cottage rental with 4 bedrooms that can accomodate up to 12 guests. 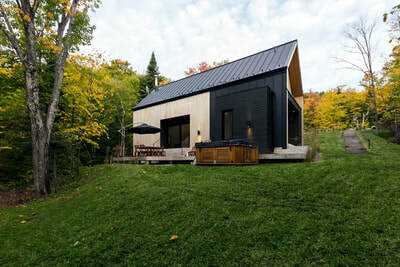 The project is designed with a single global vision: a modern, Scandinavian inspired barn with clean lines. 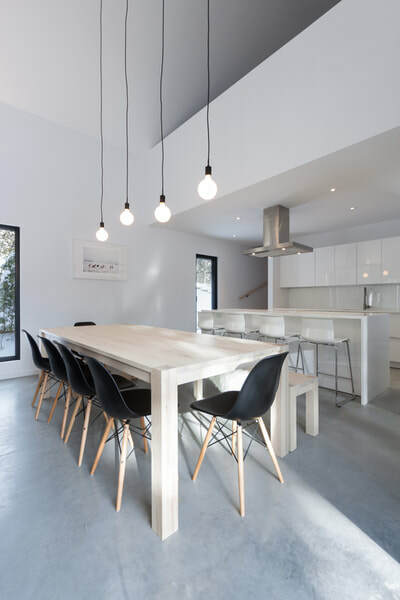 The materials in their raw appearance influenced the general concept, as well as pale colors and natural textures such as wood, concrete and white. The master bedroom is on the mezzanine and has a king bed and a fenestrated reading area. 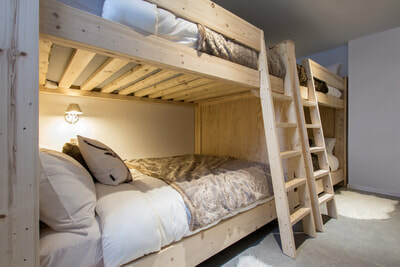 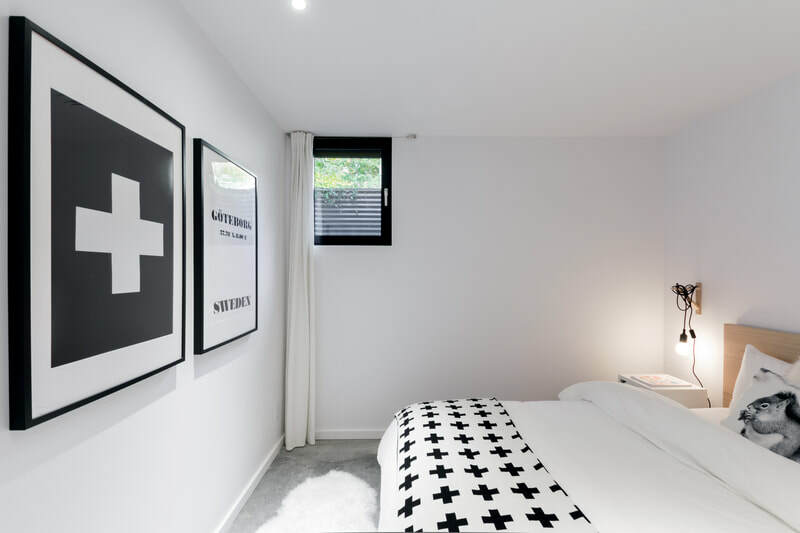 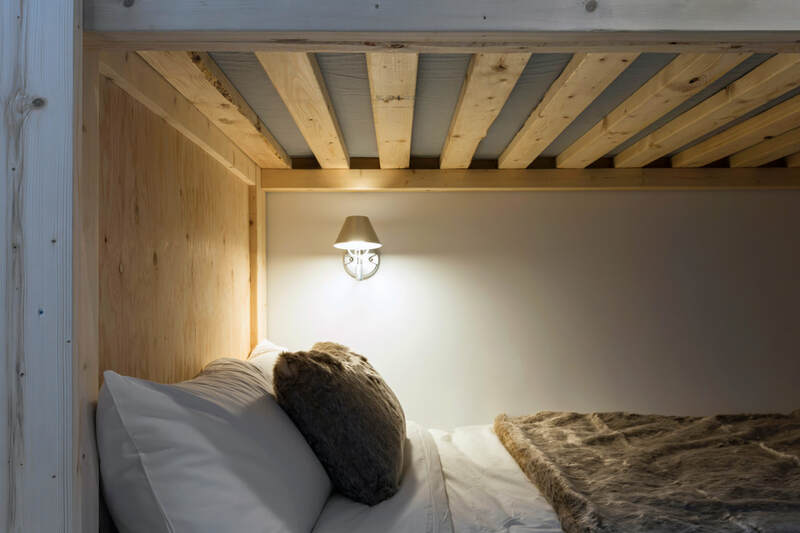 In the basement there are two bedrooms with queen beds and a bedroom with four double bunk beds. 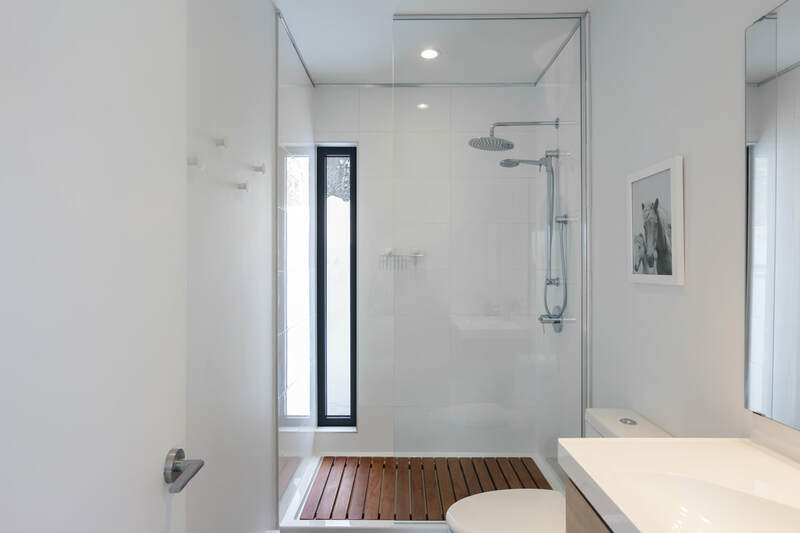 Three bathrooms, two with showers and one with shower bath are at your disposal. 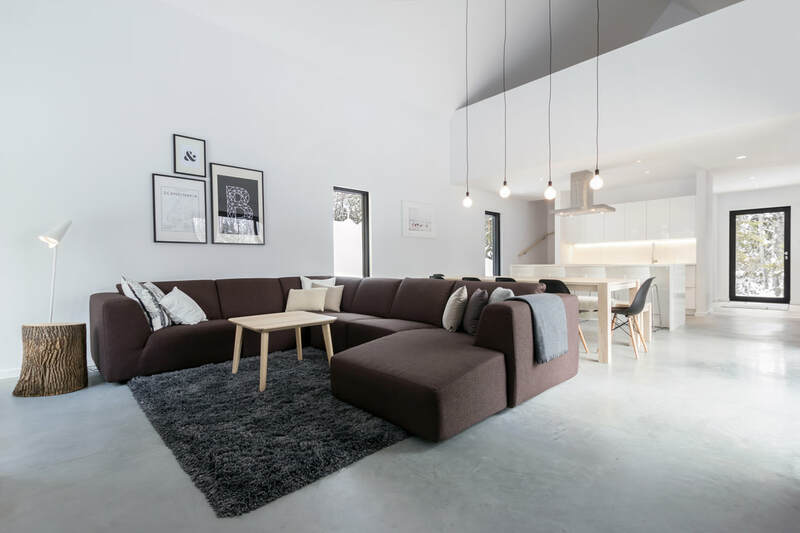 A living room with sofa bed and television completes the space in the basement. 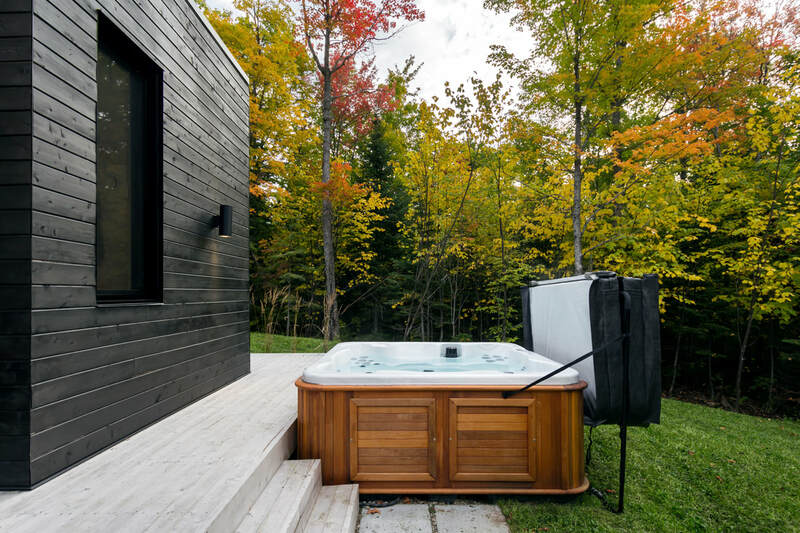 Outside, a large cedar deck invites you to relax and indulge with a four-season spa, a BBQ and a south facing orientation offering maximum sunshine. The Villa Boreale as been featured in many architecture blog such as DesignBoom, Archdaily, Dezeen and many more. 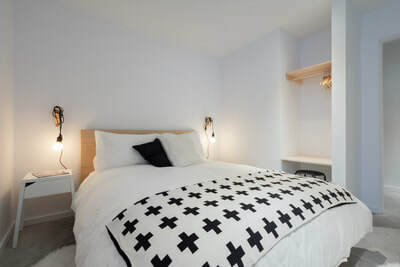 * We offer discount for stay of more than 2 nights. 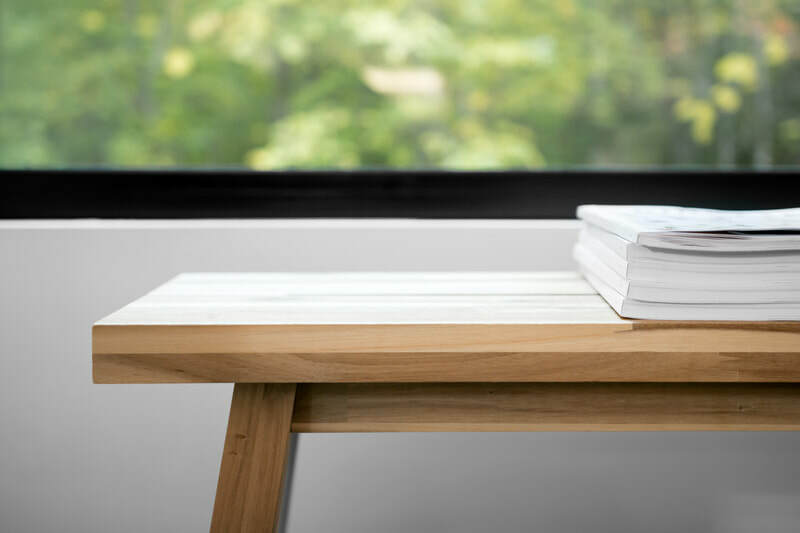 Write us for details.